The thirteenth book in the Poiema Poetry Series is Still Working It Out by Brad Davis. Published April 8, 2014. Brad Davis is the winner of the Sunken Garden Poetry Prize, and the International Arts Movement Poetry Prize. This is his second poetry collection published by Wipf & Stock., the first being Opening King David—150 poems inspired by the Psalms. 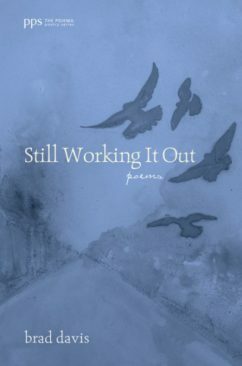 To purchase Still Working It Out visit: Wipf & Stock.